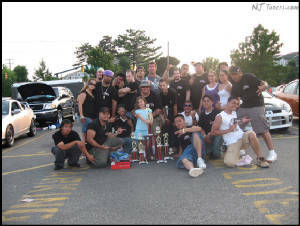 NJ Tuners best of show for team participation we rolled in deep and hard!!!!!!!!!!! 2nd annual Infamous Creationz car show @ shop rite in Saryeville 9/9/07 pics coming soon!! !